Junkyard Brewing Company is a small craft brewery specializing in new and experimental beers. 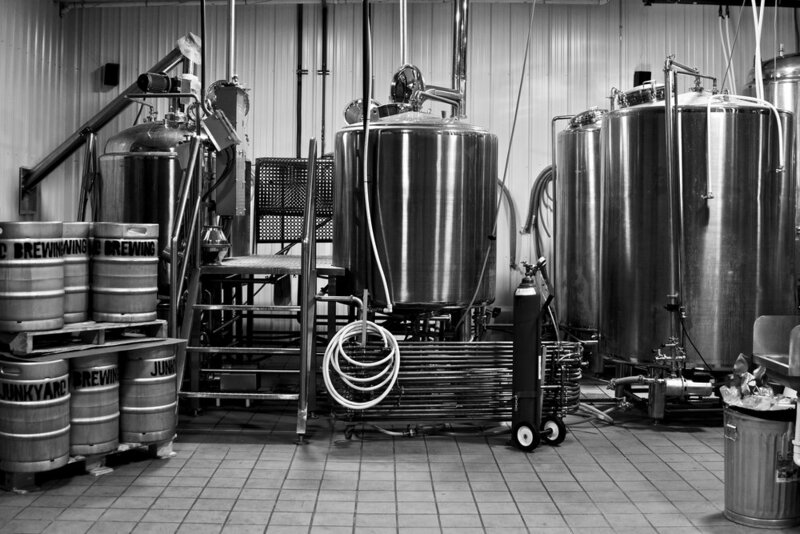 We invite you to visit our taproom located in Moorhead, MN. Visit us at our taproom for the total brewery experience. We are located in Moorhead, MN. We have 11 taps at the brewery taproom, featuring constantly rotating experimental beer styles. We also offer off sale crowlers (750mL cans) for you to take home and enjoy! You can find our crowlers in our taproom, Twin Cities area liquor stores, and occasionally liquor stores in the Fargo/Moorhead area. We feature live music almost every night of the week in our taproom and special events throughout the year. We specialize in beer and feature area food trucks every evening from May through October! We keep you uploaded on social media and now we keep you updated on our website as well. We update this daily to keep you informed on all upcoming can releases. We are thrilled to open the doors to our new 1,500-square-foot Taproom Expansion! Now we have two full bars, dozens of new tables, spacious bathrooms and ample room for indoor fun this Fall and Winter! Check out the news article from Forum Business Reporter, Helmut Schmidt for details on the new space! Instagram is just one of our favorite outlets to communicate with you! We post daily, so it's a great way for you to stay tuned in with the latest at the brewery.